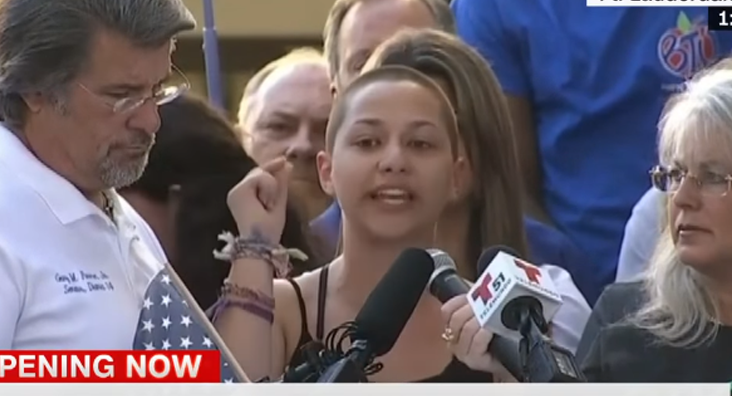 Dear Florida Gun Fighters González & Kasky: Prepare For The NRA Hammer! I’m so encouraged by your bravery and activism in the face of your tragedy. Today I heard you and some of your classmates are meeting with Florida’s attorney general, House speaker, and Senate president in Tallahassee. 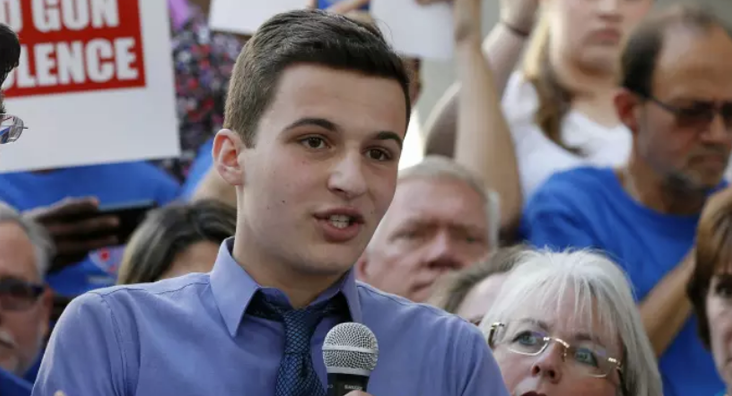 Cameron Kasky at a rally on Saturday. I have experience with politicians and professional spokespeople so I can tell you what to expect today, and then in the weeks and months to come. I think it will be enlightening for the general public to see how the Florida legislative system responds, so please share your experiences with politicians, the gun lobby and their supporters on social media. One thing you will find about politicians–and the gun lobby that supports them–is that they are not stupid. They have short and long-term methods and strategies to prevent legislative change they don’t like, while at the same time getting the change they want. These people know that you are angry and upset so they will let you “vent” your feelings. They will express their deepest sympathy and offer sincere thoughts and prayers for your dead classmates and teachers. They will look like they are listening to you. They are not. They will be waiting to talk. They will answer you in a way that will slow you down and appease you, but not upset the powerful gun lobby and their followers. The politicians won’t deny your requests right away. They might set up a commission to look into the problem, they might even ask you to be on it! Then they will talk about the only solution that the NRA, and their passionate voting base, deem acceptable; more guns. Bills to allow more people to carry concealed weapons in and around your school. Teachers, administrators and staff will be offered advanced training and guns. Here’s the deal. The politicians are not monsters, they are not ignorant of others’ suffering. They will come up with proposals, but they will be ones that keep the money they get from the NRA and the power they get from the NRA voting block. Politicians know that the majority of the public support you right now. In public the politicians you meet with will sound supportive. In the next few weeks pay attention to the ones who won’t meet with you or won’t do it in public. Then dig into what all of them say when they aren’t talking to people like you. What do they say at the NRA fundraisers? Is it different from what they told you? This is where you can use your Google research and social media skills. Your leverage includes passion and the ability to expose the politicians who refuse to act in the face of constant gun deaths and injuries. If they don’t act, they need to be removed from office. You might wonder, what kind of people refuse to pass gun laws that the majority of the country support? Spies examined the National Rifle Association’s influence on state policy and politics. The articles describe how over the last decade the NRA has successfully lobbied state legislatures to roll back many gun restrictions. One also describes what is happening in your state and the most powerful NRA lobbyist in the country Marion Hammer. Marion Hammer, 78, handles the NRA’s legislative affairs in Florida, and is the most successful gun lobbyist in the United States. While you are busy going to funerals, talking to reporters and meeting with legislators, Marion Hammer is telling your state legislators what to do. While you tug on your lawmakers’ heart strings to get change, Hammer will be yanking on their purse strings to stop it. The NRA and their passionate voter base don’t think any of your proposals will get passed. There are millions of us rooting for you and want to help you succeed. Keep going.